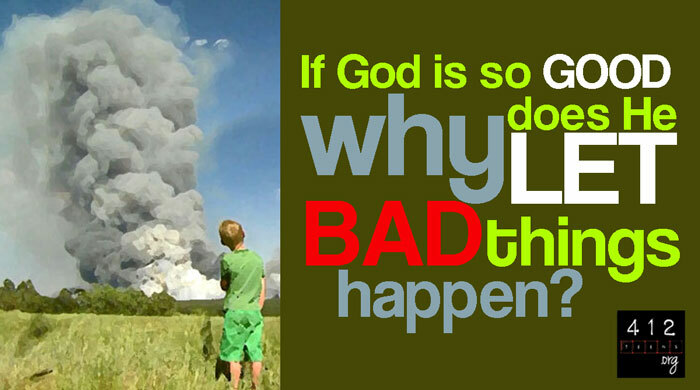 If God is so good, why does He let bad things happen? This is definitely one of the most difficult questions we find ourselves asking as believers. We know that God is powerful; we know that He is good; so why does He allow such bad things to happen? Here's the thing: God is eternal, infinite, omniscient, omnipresent, and omnipotent. He is everywhere and knows everything from the beginning of time to the end. How could we human beings, who are severely limited in our perspective, ever truly understand God’s ways? The book of Job deals with the problem of bad things happening in life when we know God could just say a word and make it go away. 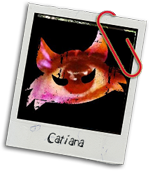 In this story, God allows Satan to do everything he wanted to Job--except kill him. So Satan did it all. He destroyed Job's land, murdered his family, and even gave him a horrible disease. When Job's friends came around and said, "What did you do to make God so mad at you? ", Job did not curse God at all. He said, "Though [God can] slay me, yet will I hope in him" (Job 13:15). Later, he says, "The LORD gave and the LORD has taken away; may the name of the LORD be praised" (Job 1:21). What crazy faith he had! We need to remember that Job did not understand why God had allowed the things He did, but he DID know that God was good, so he continued to trust in Him. Ultimately, that should be our response to bad things in our lives as well. Yeah, but this still stinks. I know that that sounds all well and good in words. The Bible says that all things work together for good purposes (Romans 8:28). And yet, sometimes that's just not a "good enough" reason for us. Life hurts so badly sometimes. We suffer so hard sometimes. We find ourselves crying out, "Why, why, why does God allow it?" Even if we can't see the good purpose in it, even when everything seems like it's going wrong and we or the people we love are suffering, we must trust that what is happening is for the best because God sees a much bigger picture than we do (Ecclesiastes 7:14). Sometimes His plan hurts, but that doesn't mean it is the wrong course of action. "Trust in the LORD with all your heart and lean not on your own understanding; in all your ways acknowledge Him, and He will make your paths straight" (Proverbs 3:5-6). God is eternal, infinite, omniscient, omnipresent, and omnipotent. He is everywhere and knows everything from the beginning of time to the end. How could we human beings, who are severely limited in our perspective, ever truly understand God’s ways? The Bible says that all things happen for the glory of God (Romans 8:28). Yes, sometimes that's just not a "good enough" reason because life often really hurts. But even if we can't see the good purpose in it, we must trust that what is happening is for the best because God sees a much bigger picture than we do (Ecclesiastes 7:14; Proverbs 3:5-6).